Keep moving along with counting to 10 skills by using this counting to 4 worksheet. It’s all gone to the birds! 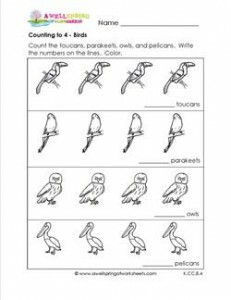 The pelicans, parakeets, owls, & toucans, that is!